South Sudan’s vice president, former rebel Taban Deng Gai, on Monday formally folded his party into the ruling Sudan People’s Liberation Movement (SPLM) of President Salva Kiir. The move is aimed at bolstering the legitimacy of Kiir’s regime and undermining rebel leader Riek Machar, to whom Deng was formerly allied. Deng split from Machar following heavy fighting in the capital Juba in 2016 and, siding with Kiir, took his former boss’s job and is seeking to strengthen his position in the government. 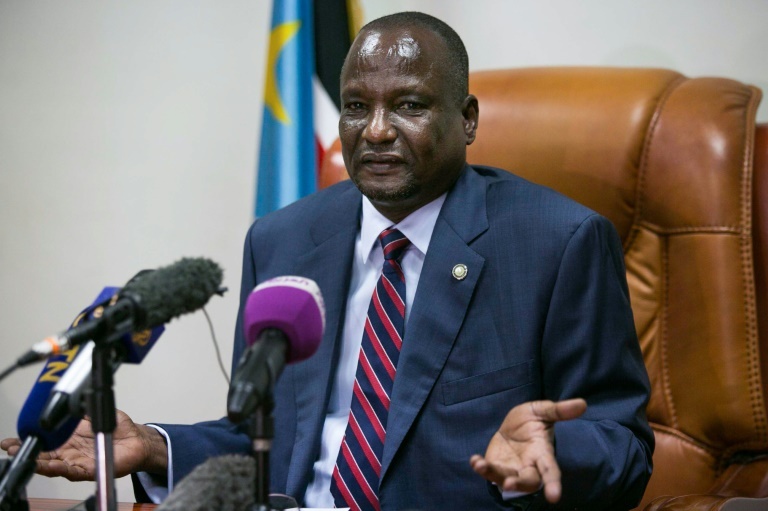 In a confusing move, both Deng in Juba and Machar, under house arrest in South Africa, continued to call their respective factions SPLM-IO (In Opposition) despite now being on opposing sides in the four-year-old conflict. On Monday, Deng insisted he was implementing a political resolution to the conflict by officially rejoining the ruling party. “Reunification of SPLM will give more power, more spirit, and more energy to the party to strive on the areas of making peace a lasting resort,” Deng told journalists. The world’s youngest nation which achieved independence from Sudan in 2011, South Sudan descended into civil war in late 2013 when Kiir accused Machar of plotting a coup. In the years since millions have been uprooted, triggering a regional refugee crisis, and millions more have been pushed to the brink of starvation, while tens of thousands have been killed, mostly civilians. While originally siding with Machar, his fellow Nuer tribesman, Deng switched sides ostensibly to help bring peace, but fighting has continued since, and talks have faltered. “The new rejuvenated SPLM will be fighting tribalism. We reconcile the communities, we stop child abduction, cattle rustling. We will continue with the disarmament of the civilians so that people are secure,” Deng vowed Monday.